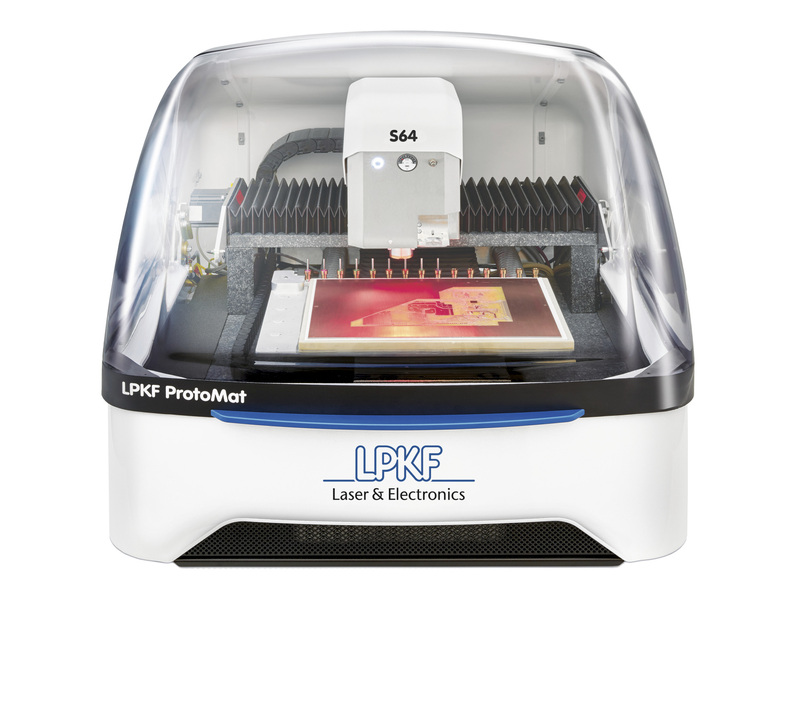 The ProtoMat S64 demonstrates speed and reliability, setting the standard for almost all in-house PCB prototyping applications. 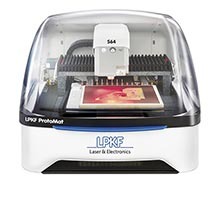 The high-speed of the low-maintenance milling motor guarantees the production of fine structures as small as 100 μm and multilayer board enables production when used in conjunction with a lamination press. 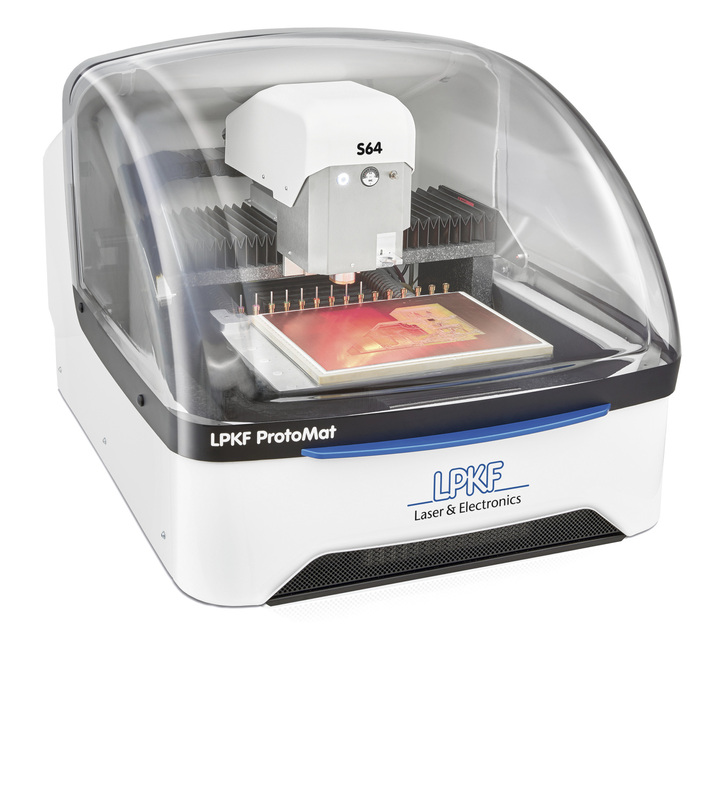 Additional standard features, including a dispenser and a vacuum table, make the ProtoMat S64 the perfect addition to any development environment. The milling spindle with 60,000 RPM guarantees the shortest machining times and highest geometric accuracy. It is low-maintenance due to the new pneumatic self-cleaning function for the motor and milling depth sensor. 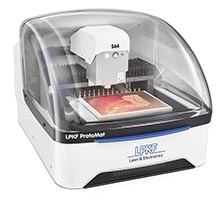 The granite machine base also ensures consistently accurate results. Up to 15 tools – more if required – can be changed automatically during the production process. Depend­ing on the depth, the conical milling cutters generate different insulation channels. Additionally, the automatic milling width adjustment ensures that the milling contour has a constant width. These features shorten the set­up time and enables operator-free performance. Sensors in the ProtoMat S64 ensure optimally controlled, exact milling depth and monitor the tool change process. Housing parts can be machined in up to 2.5 dimen­sions. 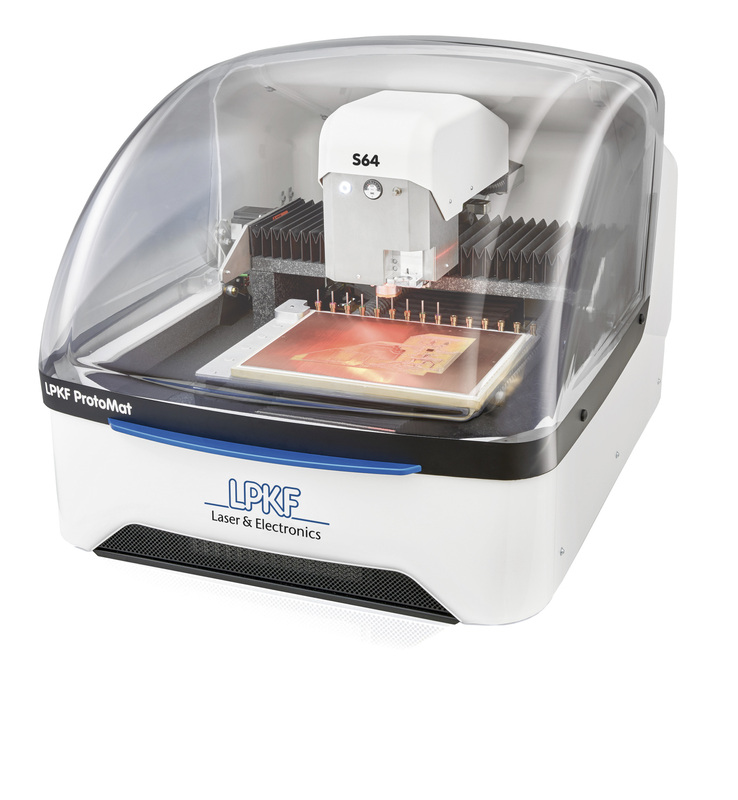 If required, the integrated dispenser can automatically apply solder paste to solder pads. Additional data calculation is not necessary. 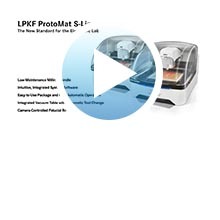 The ProtoMat system software is highly flexible and easy to use. 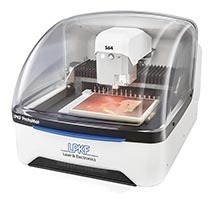 A parameter library for different materials supports the easy machine operation. If required, the integrated process guide leads the user step by step through the machining process.